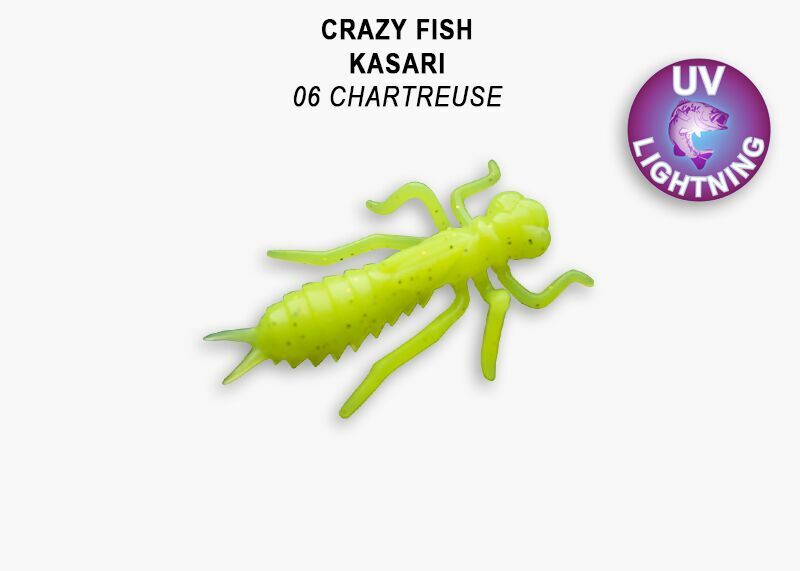 Crazy Fish Kasari 1 inch 25mm is a super detailed imitation of a dragonfly larva that will catch a wide variety of species. Anatomically correct, this is an extremely realistic lure, which is infused with a combined squid/shrimp scent for added attraction. Available in floating versions, which will lift off the bottom when fished in combination with a flex head or float a small single hook or in the slow sinking version. The Kasari has thick legs which help make very tasty moves in the water, this versatile dragonfly can be used on a jig head, drop shot rig, split shot rig or fished with a fly rod. Only weighting in at 0.5g, supplied 8pcs per pack and nicely packaged to keep them in perfect condition. Available in single or mixed floating and sinking colours.